Do you have an old and malfunctioning HVAC system which you are hesitant to replace? Are you willing to risk your comfort when the winter days arrive? If not, then this is the best time to call your HVAC technician and request a quote. 1. You Have a Significant Amount of Time. The moderate weather of fall gives you enough time to do your homework and find the equipment that is best for your home. Additionally, your HVAC company is very much available this time of the year because it receives less emergency calls. Rest assured that there is always an available technician to accommodate your needs. 2. You can choose from a wide range of products. Since it is not a last-minute-purchase, you can take advantage of the time you have to check all the available options in the market. 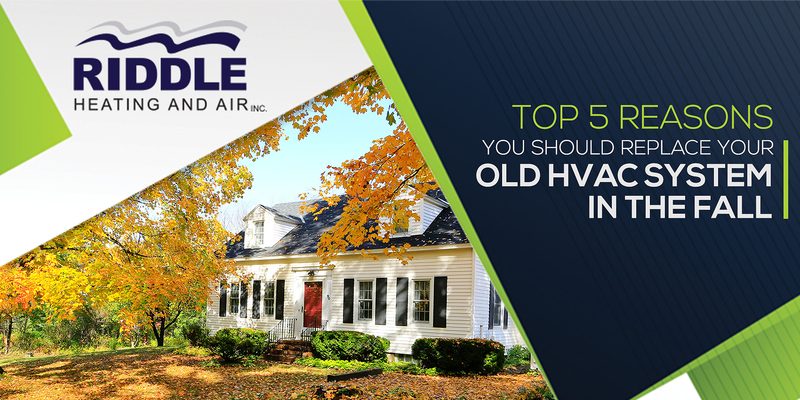 This may include the latest technologies and advancements in the HVAC industry. Even if your old system has served you well in the past, you do not have to purchase the same old-class unit for your home. There are lots of innovations in the HVAC system which offers great efficiency and new features, so do not be afraid to invest in one of them for greater savings and comfort. 3. Fall gives you time to face and fix potential complications. Fall HVAC installation saves you from weeks of shivering. Even if problems surprisingly arise on your system, you do not have to worry for you have enough time to solve the issues as technicians are just a call away. Similarly, fall is also the best time to have your unit checked and maintained. 4. You have time to think about it. Replacing your HVAC system in the fall gives you enough time to run new calculations in case you have done home improvement and upgrades. And if you are given references, you do not have to hurry to approve the recommendation. You have all the time to think about the matter and ask for second opinions if necessary. 5. Take advantage of the efficiency of a new unit. If your unit has already reached 15 years or more, it is about time for a replacement. Old units are no longer as efficient and reliable as they were before. The system may fail anytime and can consume more energy in their operation. New units are more efficient and can give you peace of mind when the winter season comes. The last thing you would want to experience is waking up in the middle of winter with no heat. So if your unit is on its last leg, do not hesitate to get a replacement. Talk to our experts at Riddle Heating and Air Conditioning, and we will help you all the way from getting a quote to your financing options and everything in between. Call us today!